LK Hair and Beauty - Hairdresser and Beauty Salon based in Newbury - Creative hairdressers and sophisticated beauty treatments based in Newbury. Award Winning Hairdressers Newbury. Welcome Spring in style with lk hair! At lk Hair, we offer a bespoke hairdressing experience for men, women and children, with one aim – to give you beautiful hair. We are also an award winning Salon which we feel makes us one of the best hairdressers in Newbury. Please call us to learn more or book online. Balayage, a pretty sounding French term, meaning to sweep or paint, has a very pretty effect on your hair. The results speak for themselves but expect soft, natural-looking, sun-kissed highlights that easily blend in as hair grows longer. Call us or book on-line....or pop in and have a chat to learn more. Every wedding is unique and our team will make the bride and every other member of the wedding party – groom, bridesmaids, mothers of the bride and groom – feel special. Call us for a consultation to discuss your requirements. LK Hair the Bridal Hair Specialists. On Sunday evening the teams from both lk hair and lk nails & beauty took some time out and went to the English Hair & Beauty Awards dinner. Once again lk hair won their category and was awarded the Most Wanted Salon 2018/19 prize, we are so very pleased and also very proud of the team! Hairdressers Newbury. Our original location offering both hair and beauty services with free parking. 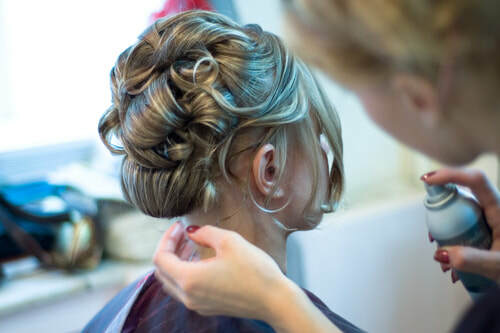 At LK Hair & Beauty, an award winning hairdressers based in Newbury, our philosophy has always been about giving our clients tailored treatments to suit their individual hair and beauty needs. 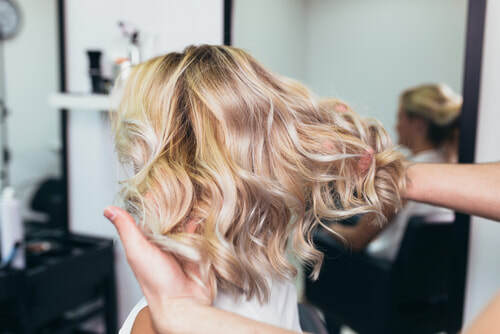 With a Nail Bar, private beauty room and a modern well equipped salon we can offer all the hairdressing and beauty services you'd expect, all to a great standard and price. We always pride ourselves in maintaining our knowledge in the latest trends, hairdressing best practice and products. With consistent training working closely with our product houses such as Dermalogica, Redken, Ghd, Philip Kingsley, Racoon, Evo and Gelish Nails we offer a refined hairdressing and beauty service. Lots of choice at our hairdressing salon! Here at LK Hair & Beauty we believe in making everyone look and feel their best, giving them the knowledge and tools to recreate at home. Welcome to the number 1 hairdressers Newbury. Stay on top form this Spring with LK Beauty Salon ( now based in Market Street Newbury ) - our growing team is doing an amazing job and we are so proud to have announced that we have added our second salon to our portfolio. Secrets Nail & Beauty ( soon to become LK Beauty ) offers the widest range of beauty services in the area. Please check out the website to see what additional services you might want. Be the envy at your BBQ or Easter party by using our Beauty services.....we want you to look your best. ​You will always catch the LK Hair team out and about in our community and having great events at the Salon - this is where you can find out what we are up to. We will be having another pamper evening at LK Hair in March and will update the details as we make our plans. Fill in the form below to be added to our Hair and Beauty mailing list.